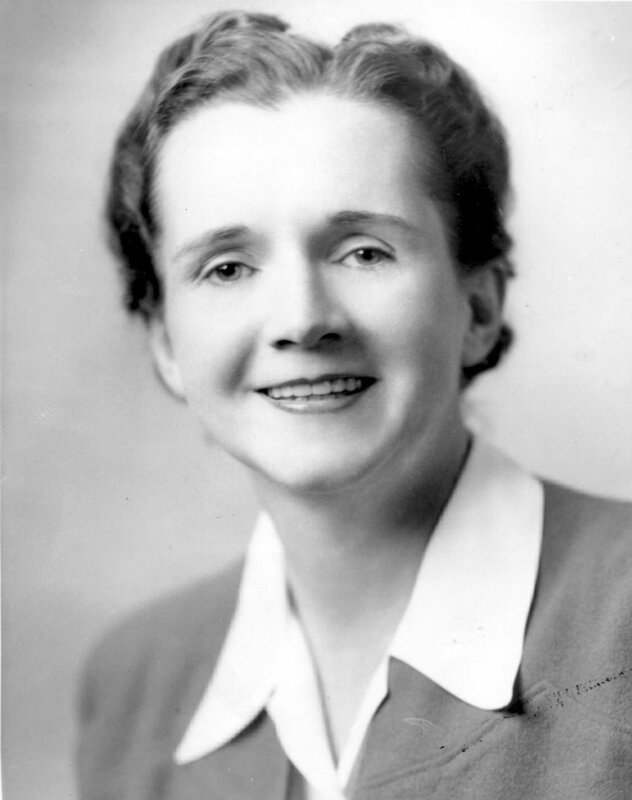 Rachel Carson's groundbreaking 1962 book, Silent Spring, inspired the environmental movement. employee photo By U.S. Fish and Wildlife Service [Public domain], via Wikimedia Commons. I recently came across this interpretive panel about Rachel Carson (1907–1964), the environmental scientist, educator, and writer whose 1962 book, Silent Spring, warned about the dangers of pesticides and DDT in particular. 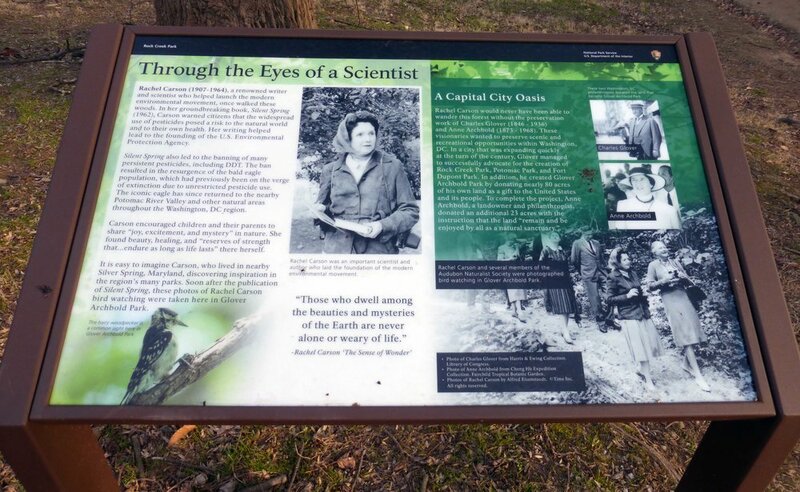 Located in Glover Archbold Park just off Reservoir Road near 44th Street, the tribute was unveiled in September 2016 by Congresswoman Eleanor Holmes Norton and Rock Creek Park Superintendent Tara Morrison. When the legislation (also introduced by Pennsylvania senator Bob Casey) wasn't enacted, Norton compromised with the National Park Service on signage rather than the trail designation. The panel text also acknowledges the role that Washington philanthropists Charles Glover (1846–1936) and Anne Archbold (1873–1968) played in creating a “capital city oasis" by donating some 100 acres of land. For more information about Carson, I highly recommend Rachel Carson, a PBS American Experience documentary, which can be watched online or purchased.